You are browsing the old www.zawinulfans.org website. 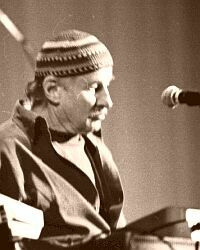 I have spent some nights in this work of revising our Joe Zawinul fans website. I tried to give it a better organization and a good layout. Now we are on a professional hosting provider and in a completely banner-free zone. This is the result! If you want to help me or you have suggestions just contact me! In the occasion of the release of his album "Faces & Places"